Those of you planning a marriage this autumn (or fast approaching winter) may figure Melbourne is a better city based on proximity to guests and family. While you may fear the cost of your wedding, you’re far from alone. The average cost of a wedding in Australia is said to average $36,200 (if not far more) in recent years, giving fear to many. Here are some tips on the cheapest way to have a wedding in Melbourne. Stop and think, though, that many of the features used in weddings are often extraneous. Cutting back and finding smaller venues can help considerably. The same goes with finding a booking agency with reasonable rates for your wedding entertainment. As in Sydney, Melbourne has many wedding venues at all price ranges. A lot of great smaller venues are available that can help you pare down and go for a simpler wedding atmosphere. One great place is Wattle Park Chalet, known for being one of the top budget venues in the city. Their rustic style in the interiors is all made of materials salvaged from historic public buildings. 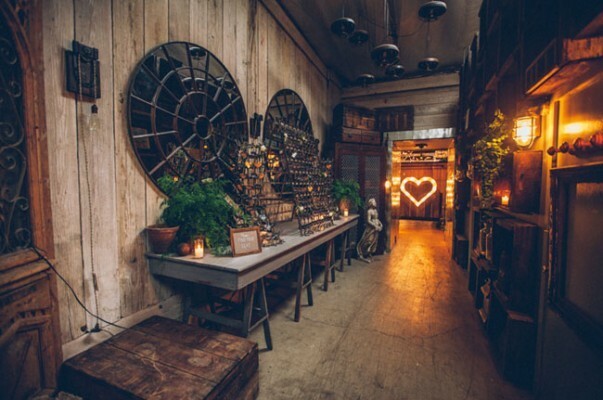 While it’s one of the most beautiful wedding locations in Melbourne, it’s also the most recycled. It holds up to 250 guests with lovely gardens for all your photo moments. Seaview Room in Brighton is a charming smaller venue for a wedding along the beach. When you want just your closest friends or relatives to attend, this place brings elegance for only 100 guests. They still offer multiple ceremony locations on-site, or on the beach. St. Andrews Conservatory as part of the iconic Pumphouse Hotel in Melbourne. Designed for up to 120 guests, this intimate venue uses natural light to save on using expensive lighting systems. It’s why the price is a little lower than larger sites. Inglewood Estate if you want a simpler wedding away from the city. It’s in the secluded valley of Kangaroo Ground and holds up to 120 guests for a smaller and cheaper ceremony. Some people get creative on creating cheaper weddings, even to the point where they create wedding rings as an amalgam of recycled materials from old family wedding rings. This alone is a clever way to cut back on the most expensive wedding features while setting a major family statement. A few things you could do to cut back include renting your wedding dress or suit rather than buying. You could also hire a photographer to work for only a couple of hours, or place photos on a USB stick to create your own prints. Don’t forget about the potential of crowdfunding either. More people in Australia are starting to use crowdfunding sources online to pay for their weddings so they’ll have enough funds to cover everything they want. It’s not easy to find affordable wedding entertainers. What’s important is to save up enough to book the very best entertainment you can find. Music is really the soul of your wedding since they’re providing a soundtrack of your lives, the wedding theme, and representing your family heritage. At Lily Road , we’re provide top-tier wedding entertainers throughout Sydney and Melbourne. The wedding singers and bands we provide are some of the very best entertainers in Australia, including having backgrounds in TV and other media. We also have our own band that can entertain your guests for hours. With our various booking packages, you’ll be able to find an entertainment plan best suiting your budget. If you want a small, intimate wedding, we have outstanding solo performers available at affordable rates.